1. Joshua Kendall, The Forgotten Founding Father: Noah Webster's Obsession and the Creation of an American Culture (New York: G.P. Putnam's Sons, 2010), 7. 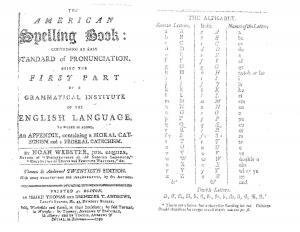 Exact Title: The American Spelling book: Containing an Easy Standard of Pronunciation.